During this treatment, a laser beam passes through the skin to the individual hair follicle. The dark pigment of the hair’s melanin absorbs the laser and transforms its energy into heat. This process disables the hair follicle while leaving the surrounding tissue unaffected. This kind of laser treatment best targets darker hair. It does not affect hairs that are not actively growing. White, gray or very fair hair does not respond well to laser hair removal. We use the Candella Gentle Max Pro laser in our office. The FDA has cleared the Gentle Max Pro laser to safely and permanently reduce unwanted hair. It has an excellent safety profile. Like any medical procedure, there are risks. As a teacher and trainer of other physicians in laser procedures, Dr. Cox stresses the importance of finding an experienced provider directly supervised by an on-site physician who understands the finer points of laser treatment. Laser hair removal is well tolerated. The procedure itself typically takes less than 15 minutes. Patients report a sensation of heat, accompanied by a bright light, and may experience mild discomfort. We use a cooling gel to minimize discomfort. Topical anesthetics may occasionally be used in particularly sensitive areas. There is no downtime associated with laser hair removal. Redness and mild swelling are the most common side effects following treatment. This typically resolves within 48 hours after treatment. Multiple sessions are required to achieve a permanent reduction of hair in the treated area. 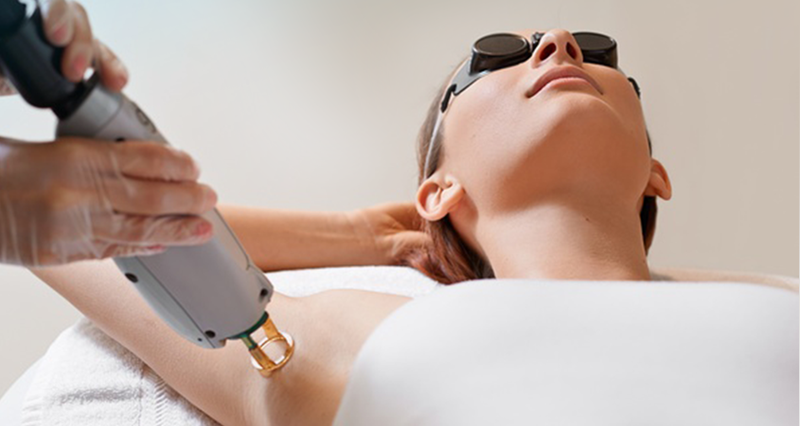 Laser hair removal treatment causes a permanent reduction of hair in the treated area. Occasional treatments are required after the initial series to maintain results. The most common treatment locations include the upper lip and chin, underarms, chest, back, bikini area and legs. We cannot treat very light hair or around the eyes, but it’s possible to treat hair in most other areas. A series of treatments is required to produce results. "I have had a great experience coming here this far. The entire staff has been professional and nice throughout. Kim, my skin therapist has been nothing short of amazing! She’s fast with treatment but efficient and really listens to me! She even remembers the patients which is very comforting and makes me feel very welcomed here (rather) than a stranger who just randomly comes in. Overall very pleased with the laser hair removal process which I was a bit nervous and skeptical with my darker skin tone! Thanks for everything!"